Inky Paws Challenge #54 Winner! Beverly Y. creates a fabulous scene with Newton Scoots By using different layers and papers. Just love all those puffy clouds! 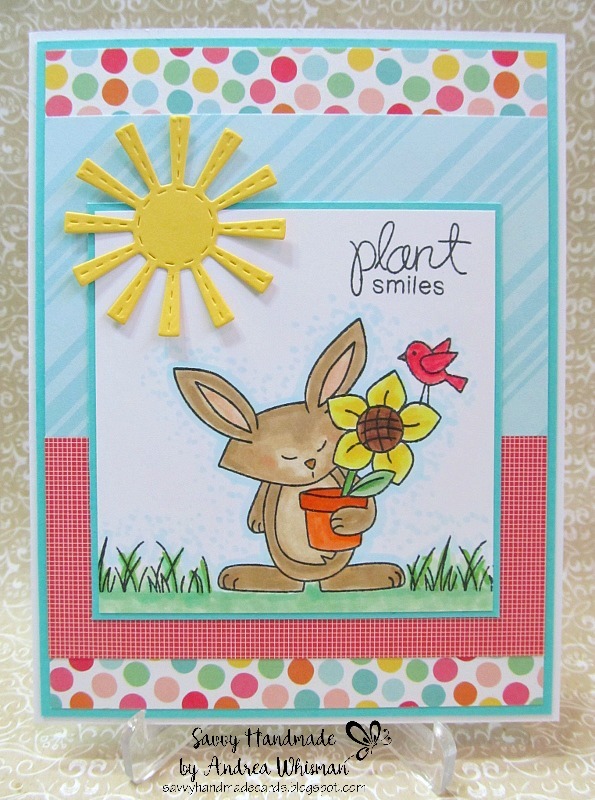 Andrea W. creates a bright, cheerful card using Garden Whimsy. 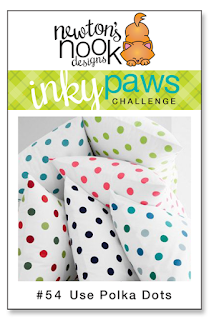 I just love those fun papers, especially those bright polka dots! So, so cute! Dawn's coloring of Newton is speCATular as is her combination of papers and embellishments! And don't forget those embossed snowflakes on vellum. 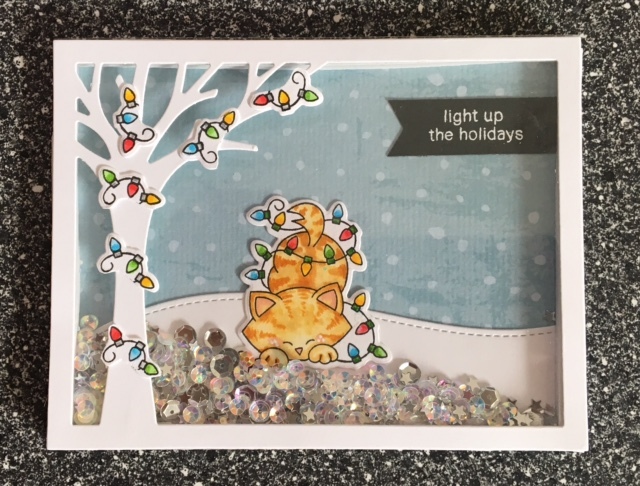 A gorgeous card showcasing Newton's Naptime and Beautiful Blizzard! 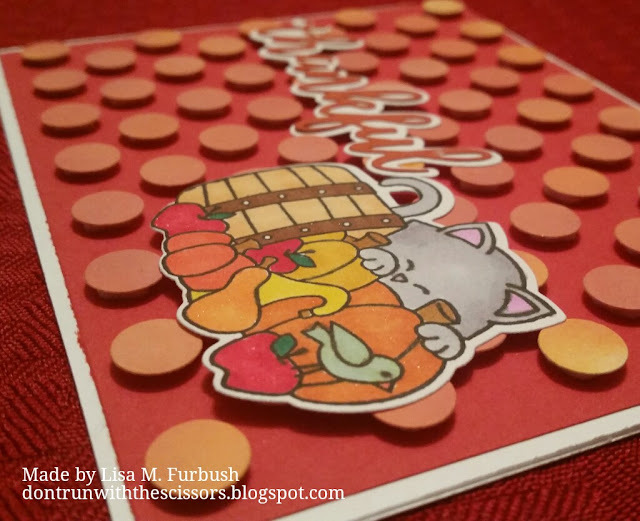 Lisa's raised dots gives her card so much dimension! Just love the autumn colors and how wonderfully she colored Newton and the fall harvest from Autumn Newton. Tracie has a magical touch combining pattern papers. Don't they provide a beautiful background to showcase her sweet image from Newton's Curious Christmas. Marianne creates a darling shaker card using Newton's Holiday Mischief. I just love how she wraps the holiday lights around the tree and those sparkly sequins and glitter for the snow! Thanks Diane for picking my card as your favorite. Congrats to Beverly and other favorites. Thank you so much!!!!!! Loved this challenge! Thank you Debbie! Oh my goodness!!! Thank you so much and I am excited to go do more shopping! Love the stamps.